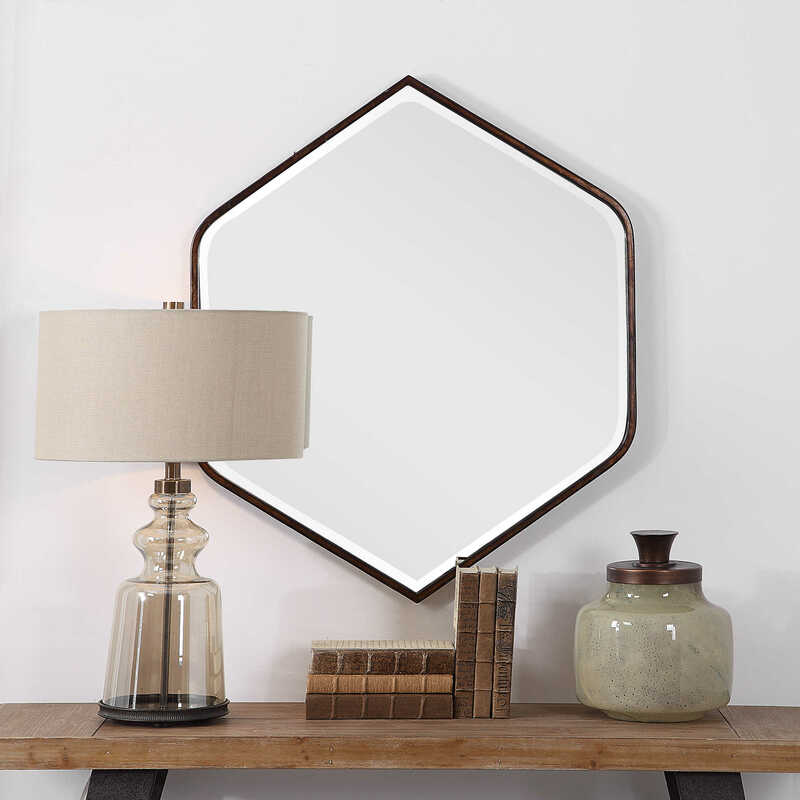 This versatile mirror makes it simple to cross an array of design styles. 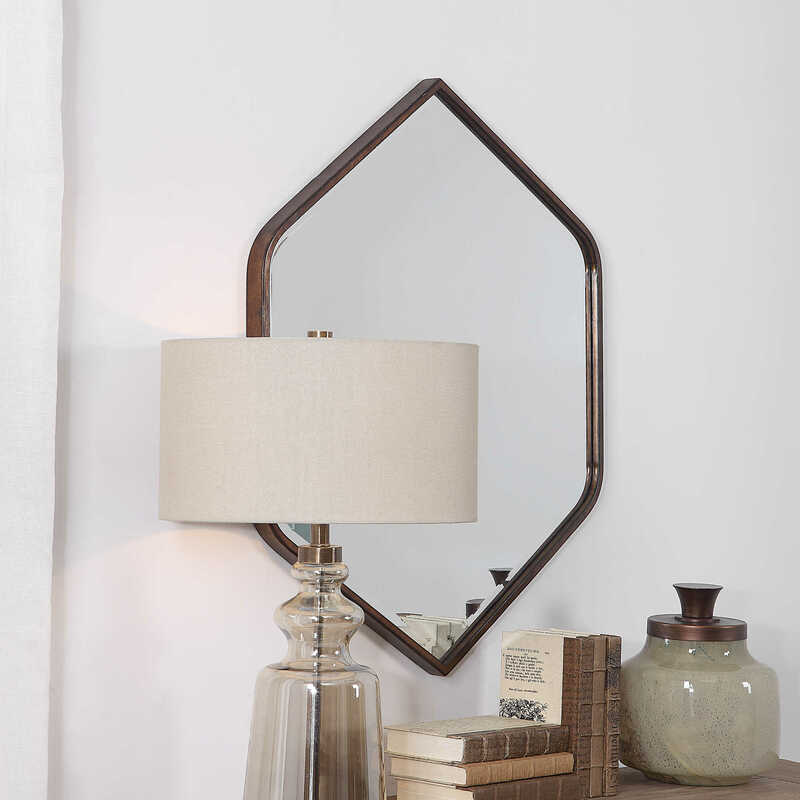 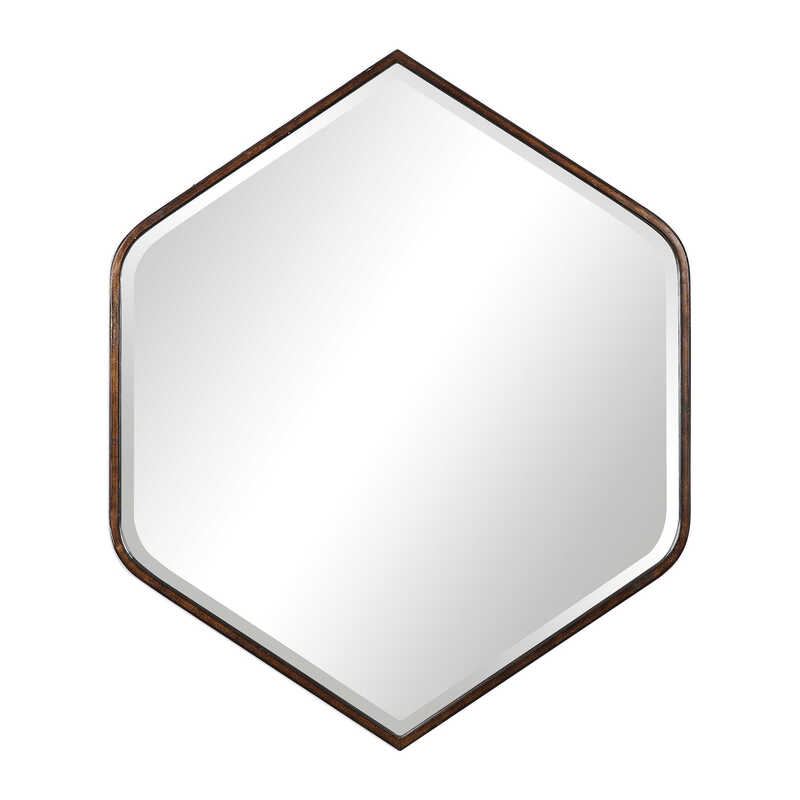 Constructed from solid metal, this mirror features a hexagon shape with soft lines, finished in a warm dark bronze. 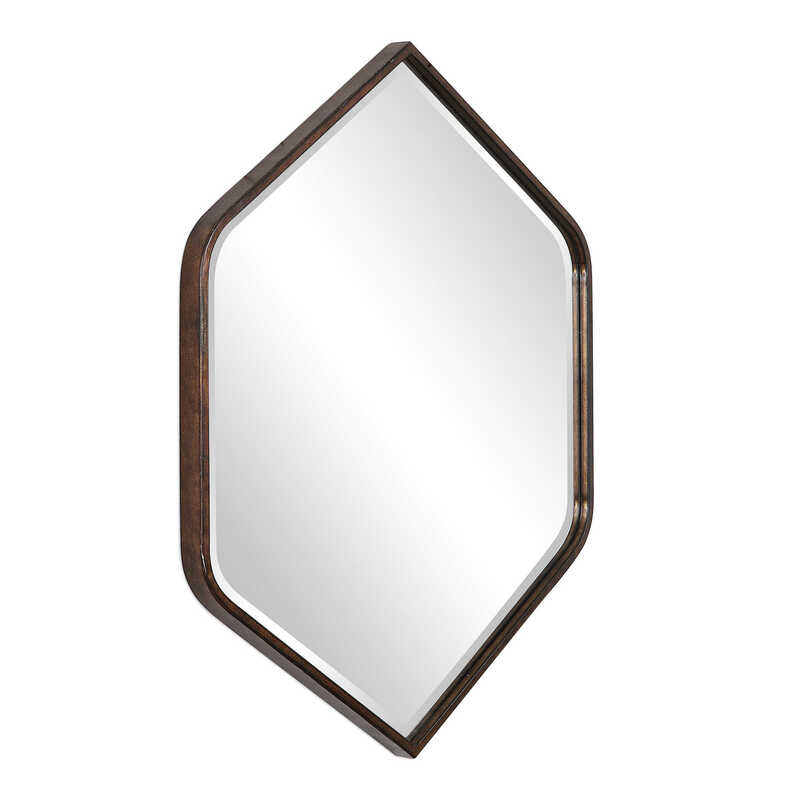 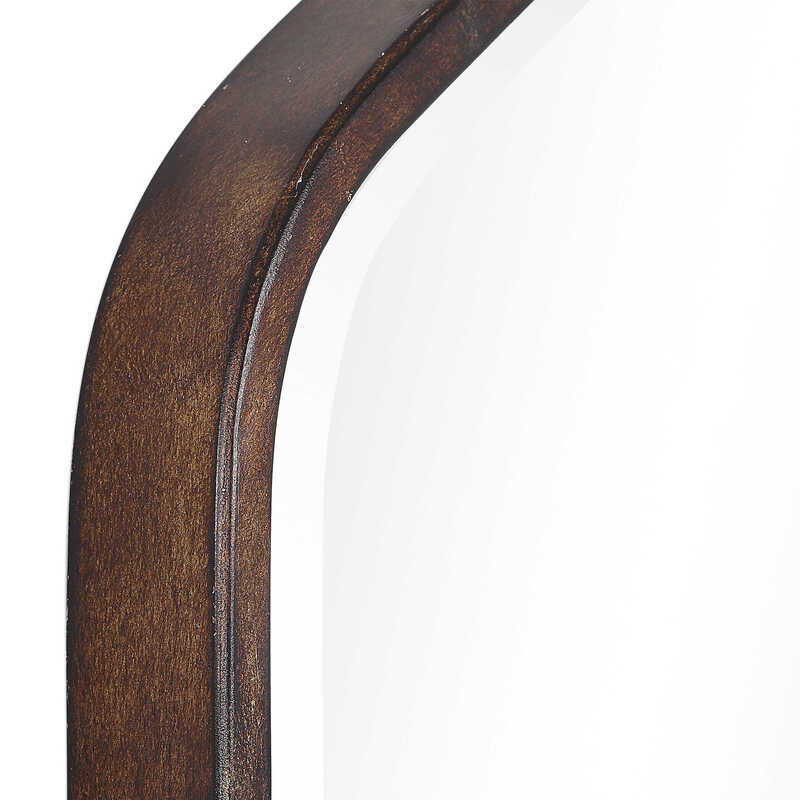 The mirror itself boasts a generous 1 1/4" bevel and may be hung horizontal or vertical.